Sign up with your email address to receive first look at new work in jewelry and art, local events and online classes. 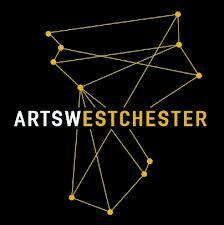 Being a member of Arts Westchester and building relationships in my community are always important in the arts. Where have all the artist gone and where is the art at? See a review of 'Animalia' at Flinn Gallery, Greenwich, CT.
An amazing collaboration wherein photographer Stephen And uses my jewelry to create images in his 'New Perspective' works. A perfect marriage of my jewelry and art. A nice promotional image cap\turing the Flinn Gallery exhibit with my Fauve Horse 36 x 48, Acrylic. Thinking of choosing thez creative arts for college? Have a Plan B! I was so grateful for this feature blog to share my struggles creating boundaries while using my drive to get what I wanted for my career.